So, Cura 2.3 it is. I was able to copy all the folders it tells me to on the Mark 2 website. Now when I load Cura it comes up with the Mark 2 for Ultimaker 2 printer as my printer. The problem is, once I upload a file (ANY file) it sais "unable to slice" And no matter what print settings I change, it won't go away. When I switch back to the Ultimaker 2 extended +, everything is fine and back to working like normal. So I thought I would look at the “machine settings” for both and compare them to be sure that’s not what is causing problems. The only thing wrong with this idea is that you can not see “machine settings” or anything of the like for the Ultimaker 2 Extended + printer, ONLY the Mark 2. So then I thought I better go and see if those numbers look correct in there, but I could find nothing that helps me with how to interpret these numbers. (I’m talking about the printhead settings now) I found a couple topics in the forum that talk briefly about it, but they give no explanation as to how to interpret them or to what they should be. “Gantry Height” What is this? Is this the distance from the tip of the nozzle to the lowest point of the lowest guide rod? I see that there is a “Machine Center is Zero” option to check or not to check. Does this mean that if I check this, the machine will now think that the center is X and Y 0.000 and not the front left corner? There is also a ”Gcode flavor” option. How does anyone know which one to choose? What are the differences? Hmm, my first idea is that one of the few changes we've made to the Cura defintion files for the more recent versions might be causing this issue. I can not open Cura versions past 2.3 That part has nothing to do with the Mark 2 upgrade. I am forced to use the older version of Cura from something to do with my computer I'm sure. Just no idea what. I am still not satisfied with you not being able to install any of the later versions. I will get you more help! 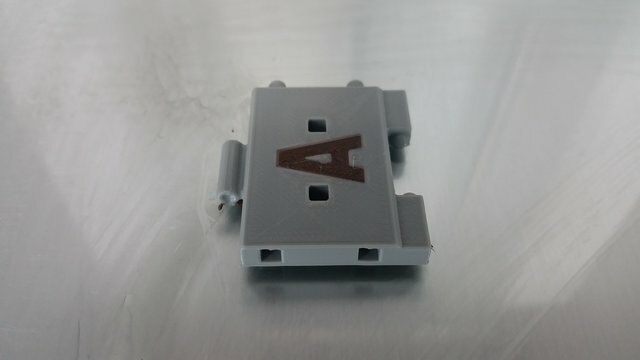 Regarding X and the center, in Cura 2.7 at least the center of the buildplate is considered 0. When facing your Ultimaker, moving up is 'minus', and moving left is also 'minus'. I am not entirely sure, but pretty sure, when the centre of your build plate is not in the middle, it is in the 'top left'. Gantry hight means the size of your printhead, so the distance between the tip of your nozzle and the X and Y axis (so not necessarily the top of your printhead). 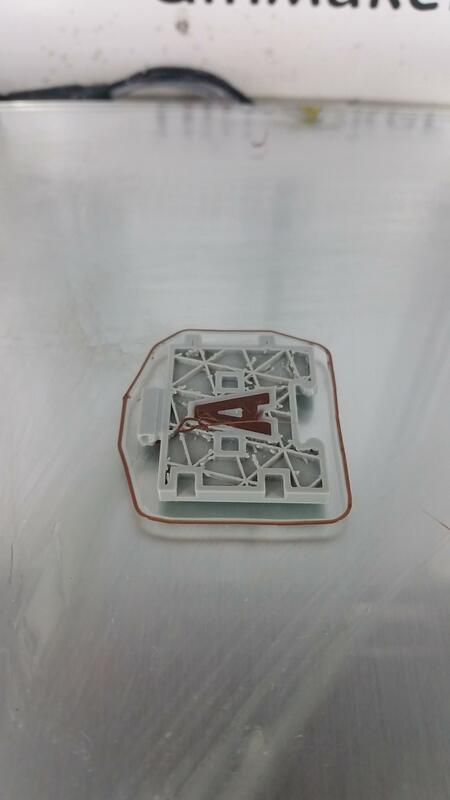 The type of gcode is important depending on what type of 3D printer you have. Since you have an Ultimaker 2, it should be set to Ultimaker 2 (that is one of the options in 2.7 anyway). I am still not satisfied with you not being able to install any of the later versions. I will get you more help! Thank you. I'm sure it has to be something with my computer. I'm just not sure what. Regarding X and the center, in Cura 2.7 at least the center of the buildplate is considered 0. When facing your Ultimaker, moving up is 'minus', and moving left is also 'minus'. I am not entirely sure, but pretty sure, when the centre of your build plate is not in the middle, it is in the 'top left'. So, what I did was go into my Ultimaker settings on the machine and moved it around by hand (thumbwheel). It shows the front left corner as being X and Y 0.000 (not back left where it "homes") That's where I came up with that assumption. So if I get 2.7 working, I can ignore this and assume center of buildplate is X and Y 0.000? What does version 2.3 use? Right, but is it the tip of nozzle to the bottom of the lowest axis rod? (this being the Y axis rod since it is much lower than the X axis) Or is it not that critical? Or is "UltiGcode" Ultimaker 2? Any idea if I can get older definitions files to be able to work with 2.3? Thanks all! Keep the ideas coming please. Hi @CCA1, yes, the bottom of your lowest axle. This value can be used to determine is print all at once can work and the print head can move over already printed parts without problems. You can tweak it if you would use different nozzles or a full third party print head. UltiGcode would be the right one in that case. Thanks all! Tinkergnome sent me a link to some older definition files and they worked!! I started my first Dual Nozzle print this morning. Unfortunately I had a couple setbacks. One of my magnets pulled out of the stationary head assembly and stuck to the secondary head and messed up the print. I will have to re-set and glue it better this time. It made it halfway through the print, however, and it was working quite well. One other issue I had was that the second nozzle did pick up the mass of purged plastic at one point and drug it over to the print and started printing with it in the way. Kind of messed it up a little. I think with a prime tower this will go away? Thank you to all who have been trying to help with this. It's been quite a journey, but I can see the light at the end of the tunnel finally. Kind of messed it up a little. I think with a prime tower this will go away? Thanks. I will try that option as well and see what happens. I have only been using PLA for starters to really get a handle on things before I venture out into more materials. Here are a couple images just to update on where I'm at now. Very exciting to have successfully printed a dual color print! I have been swamped lately so not able to experiment more just yet, but going to work with ooze shields and order some PVA to get started with dissolvable supports. I think that is going to be the solution to being able to start printing quality prints for my customers. First image isfrom when it "grabbed" some of the purged plastic and drug it over to my print. Had to stop that one. The second is my very first succesful 2 color print. I know it's not the traffic cone. It's actually a customers part. I figured why not try something that I will actually be needing to print eventually.